Fracarro is company based in Italy that was already experimenting in TV technology in 1933 before the launch of TV in Italy in 1954 and we remain focused on the future ahead. Not to imagine new worlds, but to realise the most innovative technologies by developing systems that transform buildings into ‘intelligent’ spaces, where it will be possible to integrate the needs of communication, protection and security. 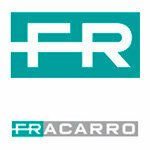 DVBMarket.com offering full portfolio of Fracarro products, feel free to contact us.